It is of utmost importance that acquiring banks, Independent Sales Organization (ISOs), payment service providers (PSPs) or payment facilitators (PFs) must undertake due diligence to ensure the merchant’s business is legitimate and does not engage in any illegal and brand-damaging activity. 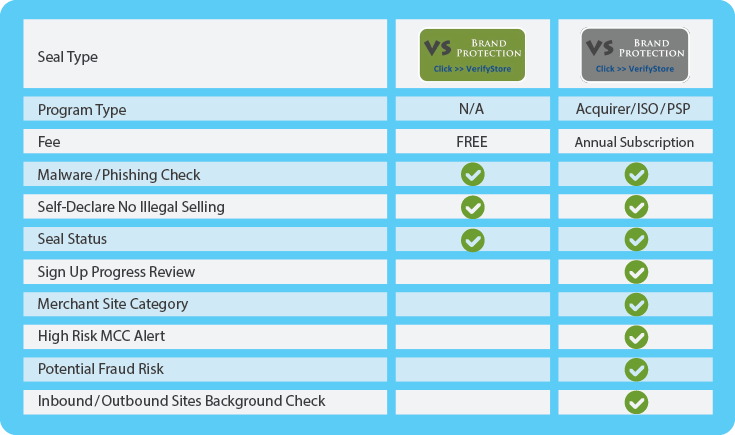 VerifyStore is an extensive merchant monitoring tool to help risk management staff in the underwriting process when handling merchant account applications. 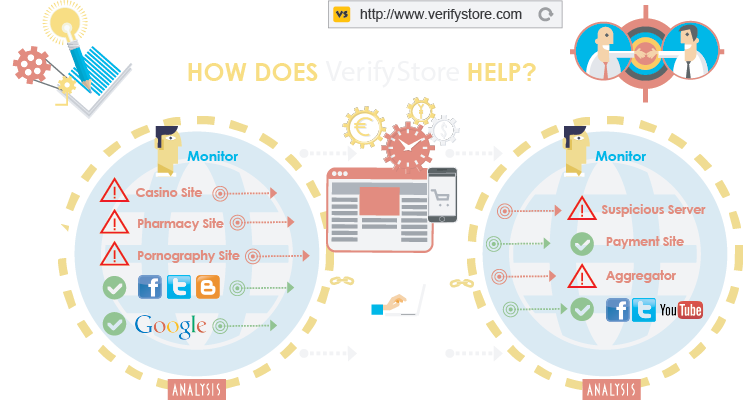 VerifyStore serves as a KYC evaluation on technical aspects, for example, discovering related inbound and outbound sites that link with the merchant, potential sales volume and any potential fraud risk before considering merchant agreement. Display VerifyStore’s Brand Protection seal on shopping cart as a declaration of not selling illegal or brand-damaging goods and services. It enhances merchant’s reputation and trust to buyers.